C-5017 Feniex 100 watt Handheld Siren - Typhoon - does it all! Finally an integrated siren that does everything. And we mean EVERYTHING. 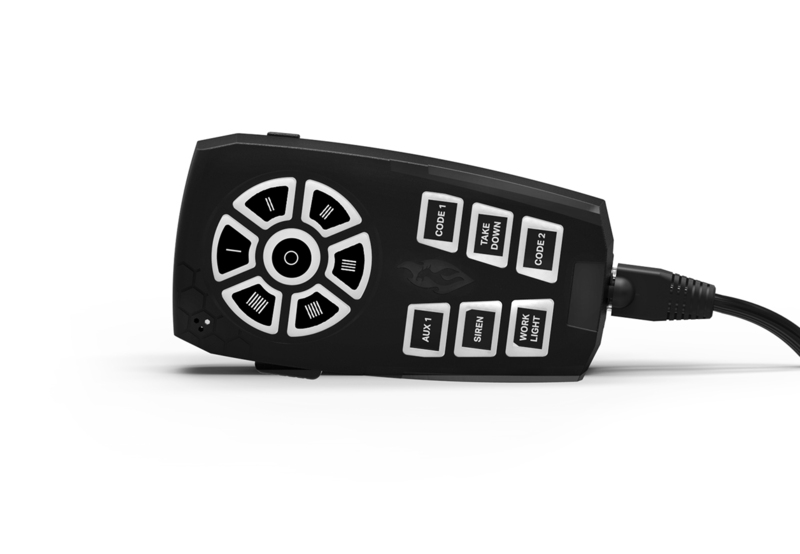 The Feniex typhoon handheld model is a siren that features 7 buttons for the most unique siren tones available anywhere. A siren that moves traffic with increased ease, the Feniex Typhoon can also control all of your lighting with 6 programmable buttons. 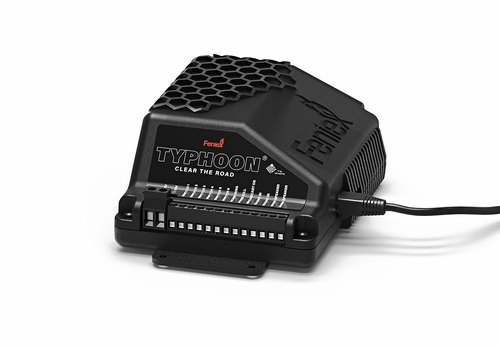 Finally rounding out the main features of the Typhoon is the built in microphone for PA (public address / loud speaker) functions. The simplistic design does not mean limited features. One unit does everything. This siren and light control combo moves traffic but also controls all of your external lighting in one box all for one low price. This makes it perfect for any application. Installation is easy for POV for volunteer firefighters, police officers, undercover applications and more can all use the features this siren has to offer. Like most Feniex switching controls such as the Feniex 4200 Mini Switch the Typhoon has a wig wag function that allows you to flash 2 circuits of lights that may not have a self contained flash system. 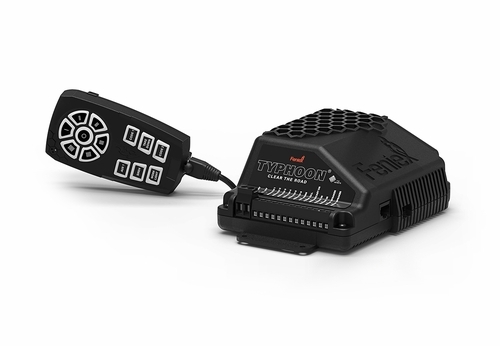 During installation you can easily hide the Typhoon amplifier under the seat, in the trunk or any other hidden place so that the handheld controller remains hidden until you need it. The siren has over 21 different siren tones. ECTO-1 (Ghostbusters) and the Bad Boys Theme is included!